Yee-haw. Slip into the tractor seat and turn a small farm into a booming business. 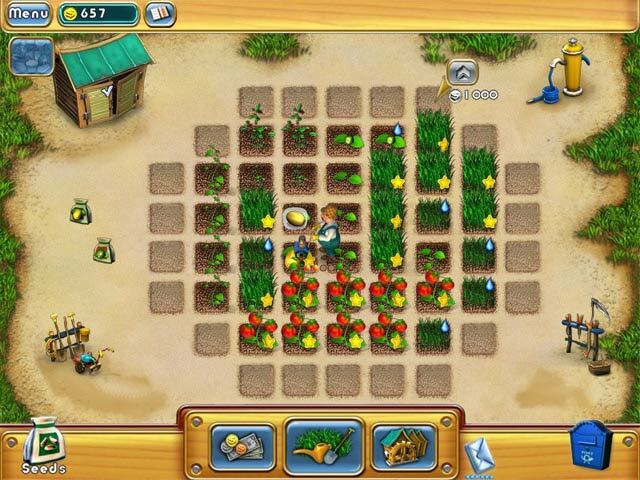 Choose your Virtual Farm crops, then till your ground and water your fields. 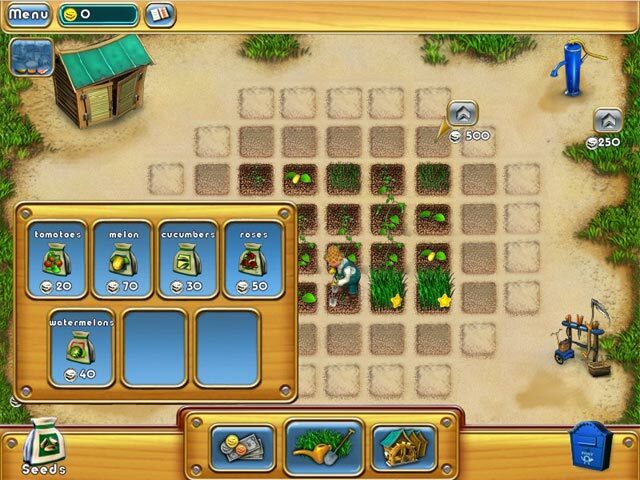 Harvest your produce and take your goods to market. Once there, set the prices and keep a close eye on demand. 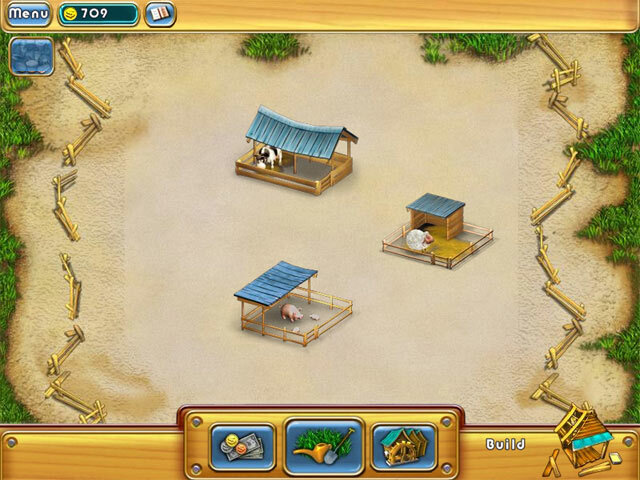 With tons of upgrades to earn, you`ve got plenty of customers to satisfy in this hillbilly Time Management game. Virtual Farm will have your entire family squealing like, well, pigs. 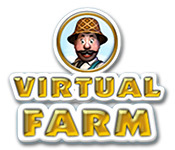 Virtual Farm is rated 2.7 out of 5 by 3. Rated 3 out of 5 by Luigifan27 from OK. Pros:It was fun. OK:IDK Cons:You don't have room for 1 of each building! Not fun not worth the money! Rated 3 out of 5 by SimbaKomba from Okay for its age This is an older game and it shows. It reminds me of the very early (Win 95) type games and in its day it would have been a hit. Now, it's a little dated. Don't get me wrong I love old games - I still play my Hero's Quest for DOS! But this one is a bit too simplistic now. The sequel Virtual Farm 2 is much better. My advice: give the trial a whirl. If it takes you down memory lane and you enjoy it - great. If not, well you haven't wasted any money. Rated 2 out of 5 by Pucktweety from Okay game I bought this in the mind set that it would continue to be as good as the demo was but unfortunately after a while it was a real disappointment. My main problem with this game is after a while it goes a bit free-style and while that suits other gamers, I like challenges and a more structured game play. Another problem requires some explaining of the game itself. You have two screens. One of which is your farm in which you improve several things until you have a 'top of the range' farm which is the biggest you can get and best equipment - fair enough. The other screen is a blank piece of land in which you build buildings to produce different products on. These can be buildings for animals in which you need to feed or buildings that make products from stuff you grow (like bread from wheat and flour etc etc). My problem is with this screen. First off, there are no set positions for each building but when you start out this isn't a problem. It becomes a problem when you can no longer fit a building you need onto the screen. There likes my MAJOR problem with this game. There are too many buildings to fit in the one screen so you need to delete un-used AT THAT TIME buildings which by now you have spent a bomb upgrading all the way to the top. Then after you have finished with that one building you needed, another order may come along needing the exact building you just deleted = TALK ABOUT ANNOYING. For that reason, this game quickly becomes unplayable after a while because I find it completely unacceptable that I have to delete buildings and move them around carefully so all these CIRCLE buildings fit into a SQUARE piece of land. It takes away the fun very quickly. Turn a small farm into a booming business - climb into the tractor seat of this Time Management hayride.